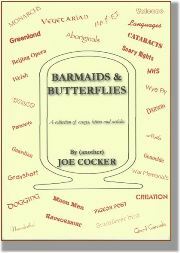 EFPTA and continues as Advisor to the Board, has published Barmaids & Butterflies, A collection of essays, letters and articles. Chapters are on such diverse topics as evolution, languages, vegetarianism, travel, genocide, camels and cultural identity. Joe can be contacted via the Executive Board page, or visit his website .